Even though few literary agents are accepting collections of poetry—it’s still a good idea to have a query letter on hand! Why bother? Because, while literary agents may not be accepting query letters for poetry, MANY others are: Independent publishers are actively accepting query letters for books of poetry; editors/judges of writing contests are always on the hunt for full-length poetry manuscripts for publication (find a list here! ); and writing residencies often request a query-like letter from applicants. At Writer’s Relief, we know that if you want to get a book of poems published, you need to write a query letter that makes a good case why YOUR poetry collection should be published over someone else’s. Strut your street cred. The best way to catch an editor’s eye with a poetry query is to demonstrate that you’re a poet worth noting. 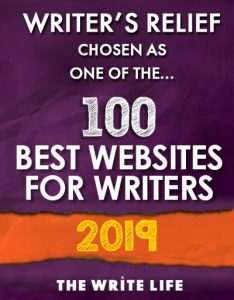 And you prove that with a list of poetry publications in reputable literary journals that also includes any nominations and awards. In a best-case scenario, many of the poems in your collection will have been published individually before you approach a publisher (unless, of course, your publisher prefers new work). Drop names. If you’ve had the privilege of studying with great poets—or you’ve had your writing endorsed by another poet due to a good working relationship or even a contest win—don’t hesitate to do some name dropping! Focus on your dedication to the craft. If your professional poetry bio seems a bit sparse, steer your reader’s focus toward your untapped potential by listing classes and workshops you’ve attended, educational awards, involvement in the local poetry scene, speaking gigs, and anything that demonstrates your commitment to (and love of) poetry. Consider having a theme. Poetry collections that have a central theme are sometimes easier to shepherd into publication than poetry books featuring many unrelated poems. If your poetry book or chapbook has thematic unity, it might be worth mentioning. Just don’t go on (and on, and on) about your theme: State your intentions briefly and move on. Don’t editorialize about poetry. Resist the urge to include anything in your cover or query letter that sounds like you have written a professional review of your own writing. In other words, don’t make promises that readers “will fall in love” with your book. Hint at your outreach efforts. Marketing is sometimes a secondary consideration in the world of poetry. But publishers must eat. So if you’ve done any social media outreach, maintain an author website, or have any kind of following, it’s worth mentioning. Talk a little bit about yourself. 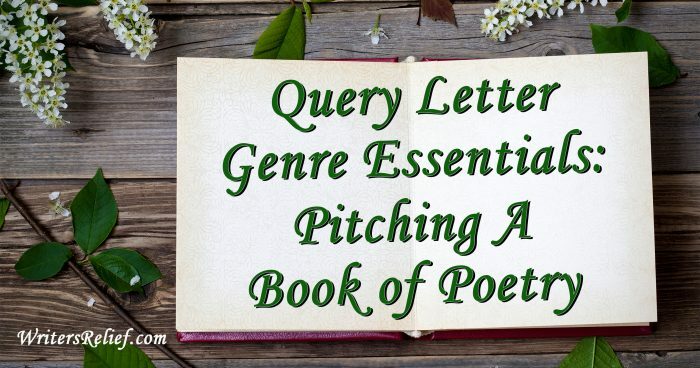 The strength of your poetry is the central factor of any query or cover letter pitch. But sharing a smidgeon of personal information can be a great way to demonstrate that you’re a real, approachable person with a story to tell. Just be sure to avoid query letter TMI. 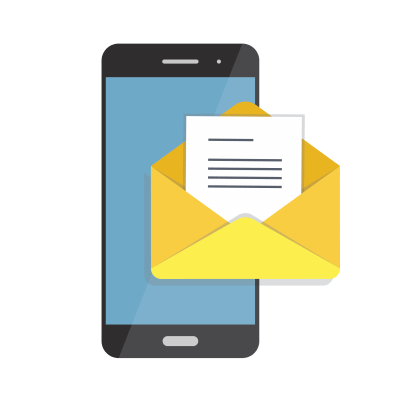 KEEP READING: Want to make sure your poetry query letter strikes a professional tone? Start here. Question: What is your best tip for pitching a book of poetry? I came across a bunch of poetry my great grandfather wrote back in the early 1900’s. I typed them all up and came up with an 85 page book of his work. What would be the best way to go about getting it published? A chapbook is a small paperback booklet, typically containing poems or fiction. What is a chapbook? Some are asking for that. Please help. Agents rarely represent poetry collections, since there isn’t enough money in them. Your best bet is to approach small presses and university presses directly by submitting the complete collection. Always follow the submission guidelines, though. For example, some presses may ask for only a partial in order to get a sense of your style. Also, you will have a much better chance of acceptance if some of the poems in the collection were published in lit mags first, as this will give you “street cred.” It shows that you understand the poetry market and have developed your craft.